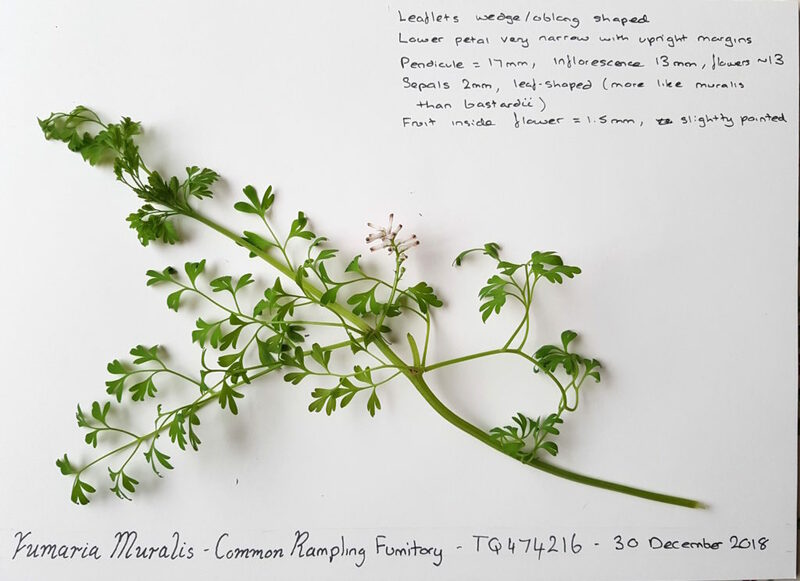 As 2018 inexorably turned into 2019 botanists from all over the country were out in force. 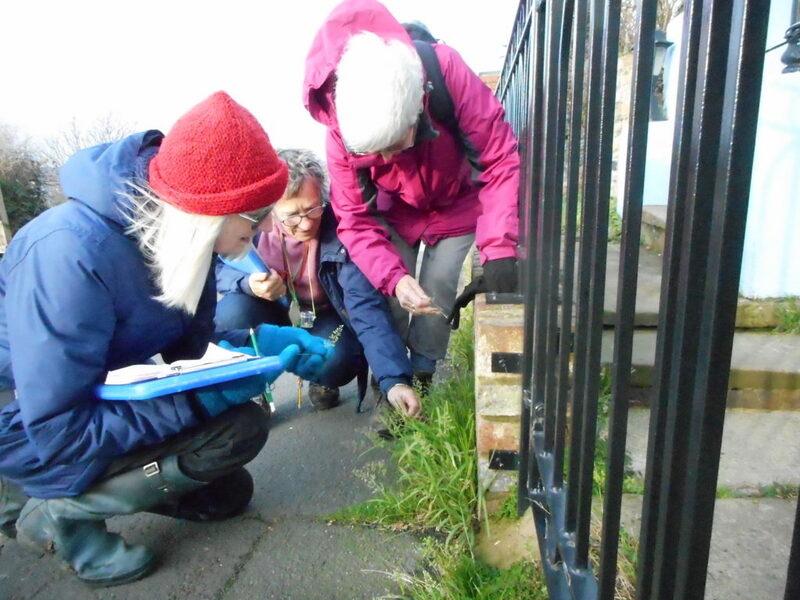 It was the eighth BSBI New Year Plant Hunt and members of the society and several others recorded plants across the county. 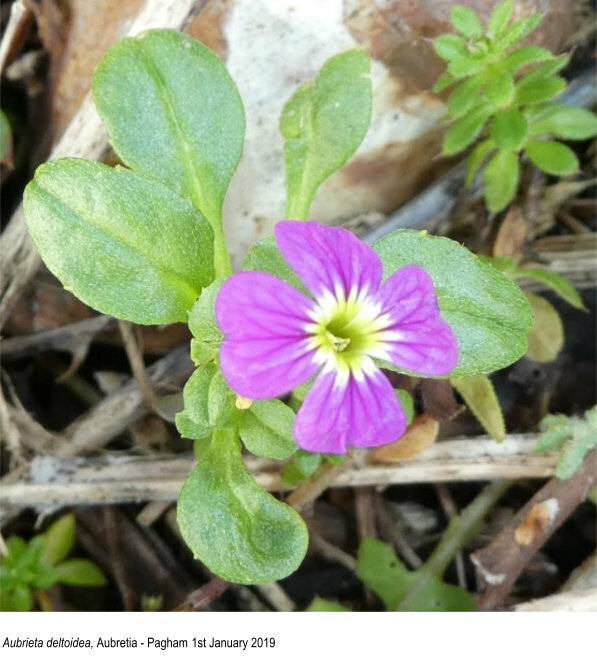 Jill Oakley gives us a great introduction to the project and to the Sussex contribution: “Sussex botanists turned out from all over the county to take part in the BSBI New Year Plant Hunt which took place from Saturday 29 December 2018 to Tuesday 1 January 2019. 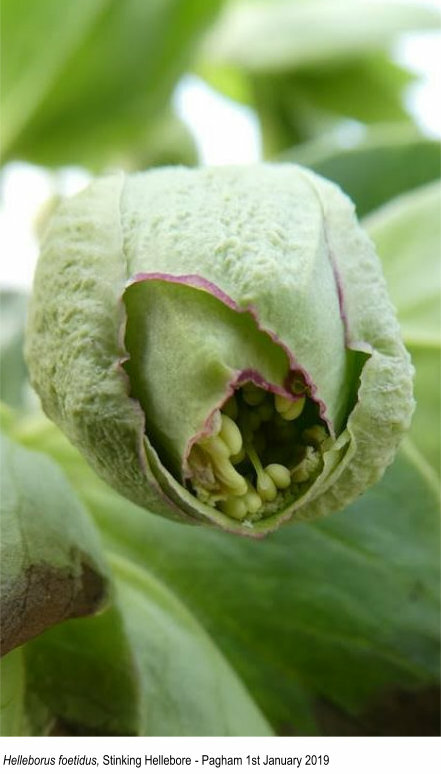 Twenty three lists from Sussex were sent in and four of those came in the top twenty in Britain and Ireland for the number of plant species seen in flower. 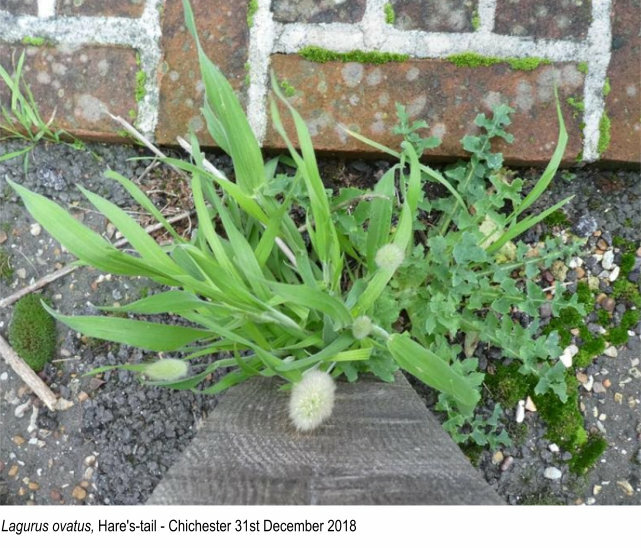 In West Sussex the hunt in Pagham was fifth overall with 84 species, the Chichester list of 70 came in as equal thirteenth, Storrington was eighteenth with 63 plants spotted and in East Sussex Hastings came nineteenth with a list of 62 plants in flower. I ended up going out on 1 January with Tom, Rachel and Luśka, and our Twitter posts can tell the story. 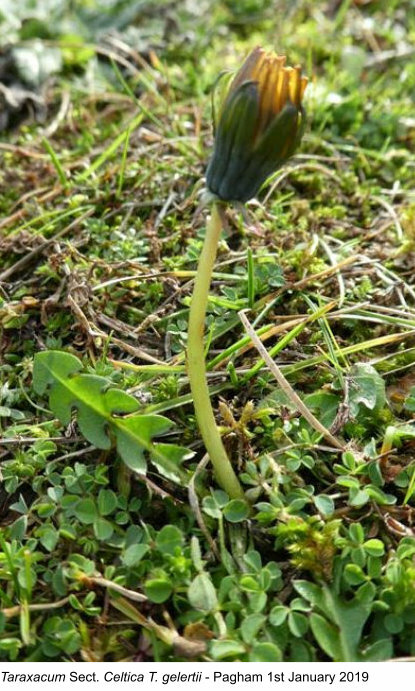 Wendy followed on from previous years with her continuing explorations of Uckfield: “Given that the run up to New Year has been so mild I was expecting to find a good number of wild and naturalised plants in flower during my Uckfield plant hunt but would I beat my previous highest score of 34? 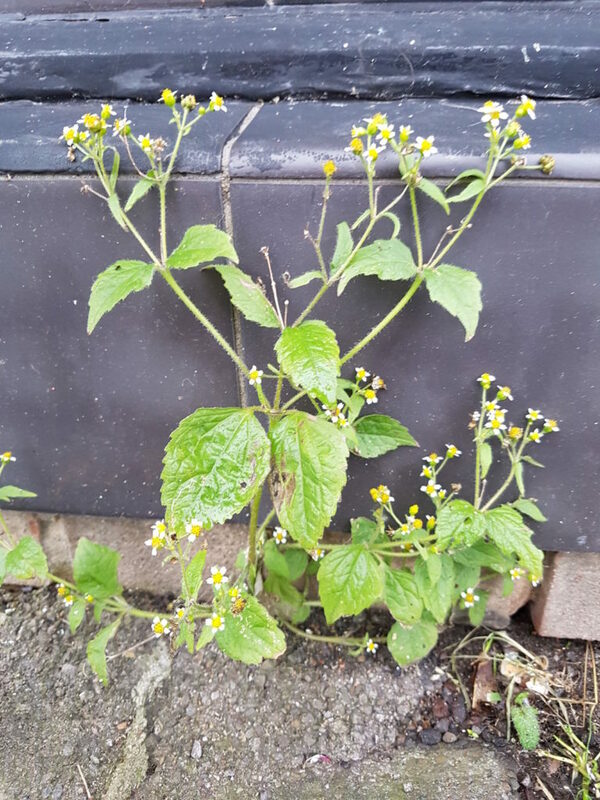 My first plant was Galinsoga quadriradiata (Shaggy Soldier) – one of the many odd little weeds that I found near shops. It was a first for my New Year list, which was a great start. 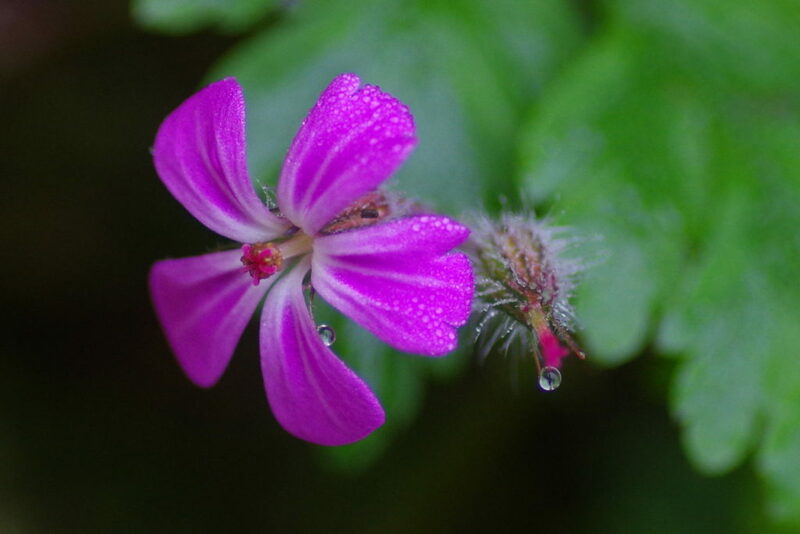 I say little weeds but my regulars – Geranium robertianum (Herb Robert), Capsella bursa-pastoris (Shepherd’s Purse) etc. seemed to be bigger and more numerous than usual. The main trend in my hunt was the sheer number of summer flowers that had made it through to New Year. 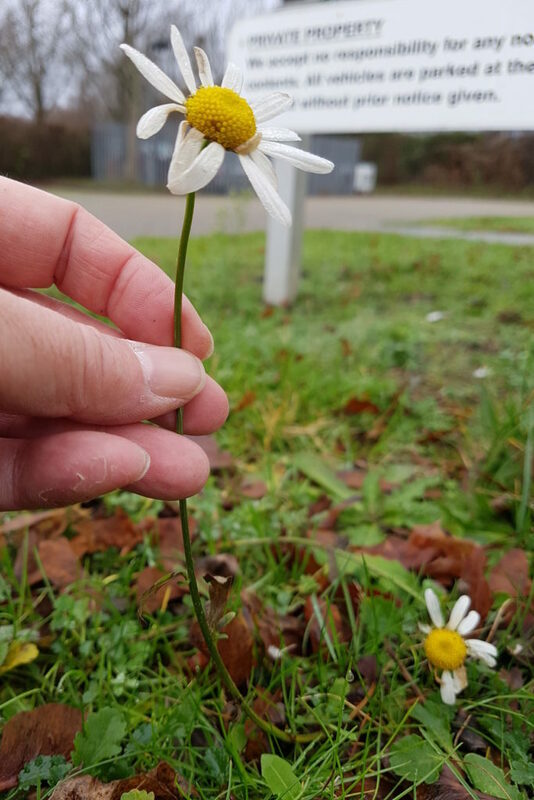 The Leucanthemum vulgare (Oxeye Daisy) that I found by the Fire Station was a real surprise, as was the Geum urbanum (Herb Bennet) that I found in Lime Tree Avenue. There were just a few spring flowers coming out. I always check the Crataegus monogyna (Hawthorn) hedge between the allotments and the bypass and, sure enough, there were some small flowers scattered amongst the not-quite bare branches. A couple paused, curious about the strange woman photographing the apparently bare hedge. 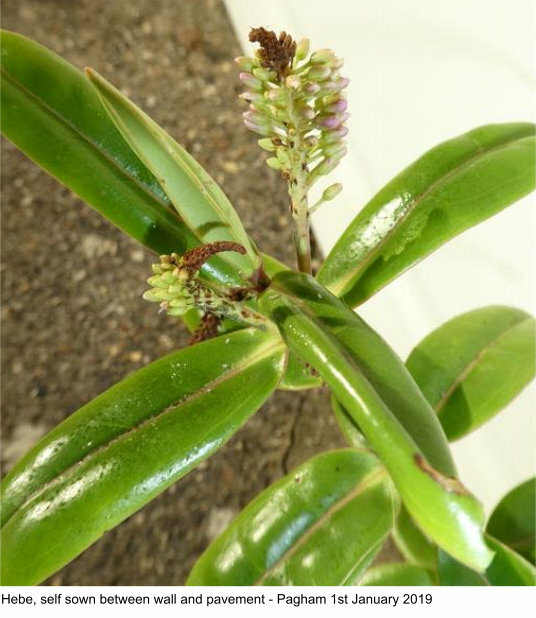 I explained about the Plant Hunt and suddenly stories were tumbling out about their daffodils budding early and other strange plant behaviour they had observed.